Welcome to the Cross Canada Blog Hop for November 2017! Our theme this month is the holidays. If you got here from Emily's blog, you are in the right spot, but if you get lost along the way, just head back to Michelle in Nova Scotia where you will find the complete list of hoppers. If you have any questions as you go through our hop, please leave comments as we love to get your feedback. Now on to the hop! 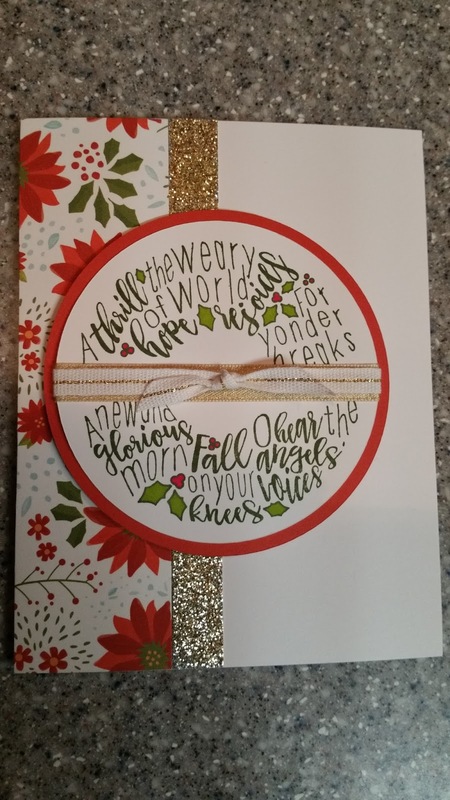 This month I have decided to create some Christmas cards to add to those that I will be sending out this year. 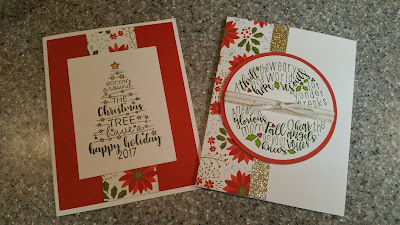 It seems I never have enough cards so making too many is just fine! These are two from a set of six (three of each design - I might make more). 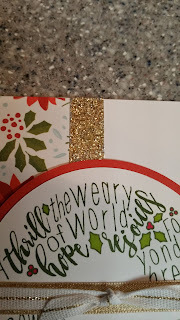 I used the Christmas Tunes stamp set, Cranberry and New England Ivy cardstock, Beary Christmas paper, and strips of Silver Glitter Paper (yes, that is silver! Coloured with the Marigold Shin Han Marker to make it gold!). 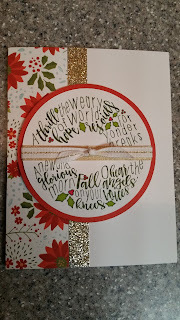 I am not too keen on the banner for this wreath so I layered two of our ribbons - the gold ribbon in the Basics pack (Z3364) and the White and Gold ribbon (Z3189) - on top of each other then added a faux bow. 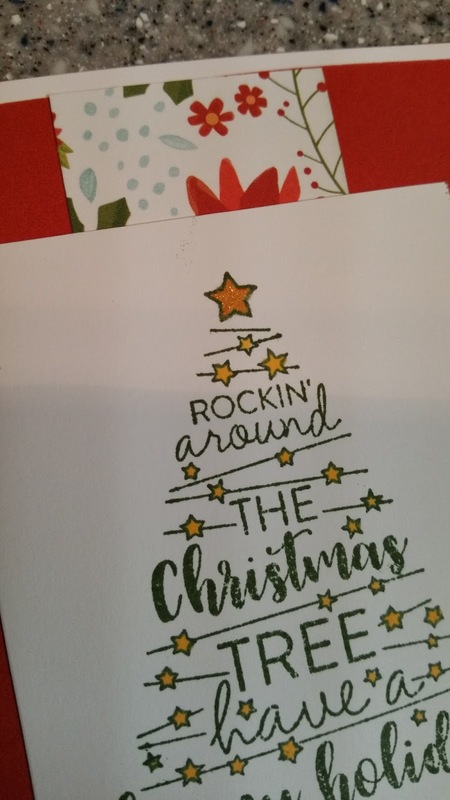 Yes, this really IS Silver Glitter Paper! 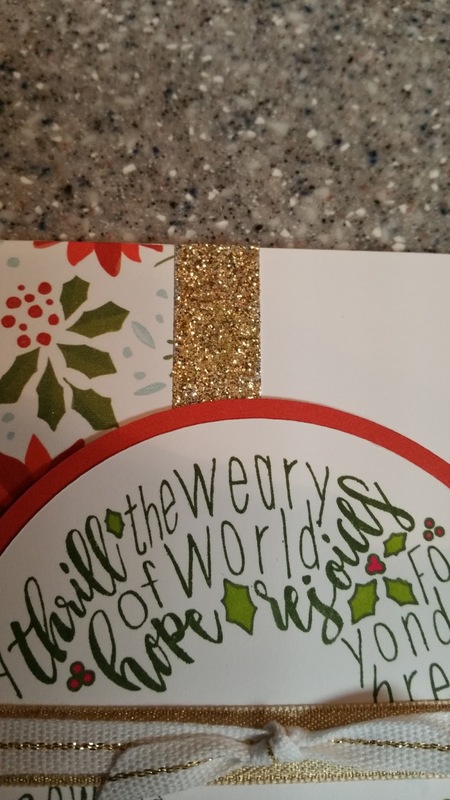 I just used the Marigold Shin Han Marker (Z2457) to colour it gold! Next on the hop is Corinna, so head on over to see some more beautiful artwork! Again, please leave your comments as we love to hear what you think. If you see a product or technique you would like to hear more about, please contact your local Close to my Heart consultant who will gladly answer your questions. 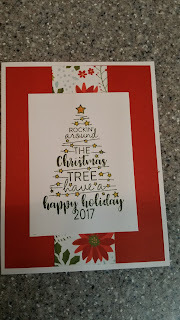 Stay tuned next month when our theme will be how we celebrate the holidays. 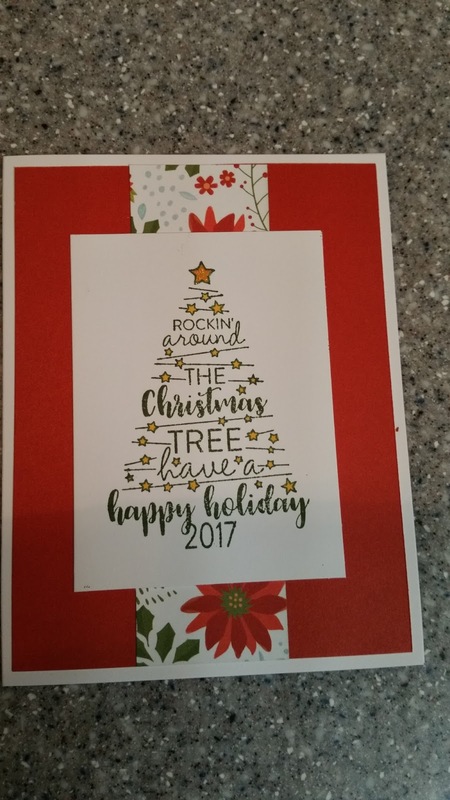 We will share our memories and traditions of the Christmas season. Happy Hopping!